Have you fallen prey to the prevalent misconception that Cotton Mather was the moralistic, harsh perpetrator of the Salem Witch Trials? If that is the case, you do not really know the man. Author Rick Kennedy takes us to the heart of the man and Mather is, in fact, a man worth knowing. Kennedy succeeds in a short biography at what some massive tomes can’t even deliver—a winning biography that is enjoyable to read and brings life to the subject. I must confess that I came to greatly admire Mather by the end of this book. His faith was real. Though he worked at scholarly efforts on many occasions, he never lost his full confidence in God’s Word. He was in no way a fake. He was sincere in his home and ministry. The members of his church loved him and stood by him all his days. His faith was tested and stood as he buried 13 of 16 children and 2 of 3 wives. 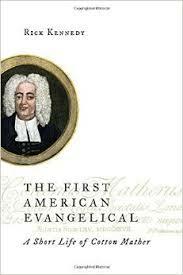 Kennedy makes a good case that Mather is not the last American Puritan, but rather the first American Evangelical. He had only a cursory involvement in the Salem Witch Trials, but has had his reputation altered by a disreputable rival. You will see just how good this book is in the first chapter entitled “The Pastor’s Study”. While that title may bore you, I have never come to know someone better in the first chapter before. The scene he draws is vivid and makes the study a vibrant place. He doesn’t hide Mather’s weak points. He almost took his thoughts on angels too far. He relentlessly promoted his own books. His last marriage had problems and he always had trouble managing his own finances. All these things only made him real. The fine man remained. I simply loved this book! 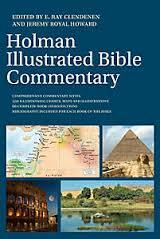 As a pastor I think I have found the perfect resource to recommend to folks serious about studying the Bible–this new whole Bible commentary by Holman Reference, edited by E. Ray Clendenen and Jeremy Royal Howard. This volume is perfect for the person trying to read the Bible but struggling with certain passages. Even if you have been studying the Bible for years, you will still find this a real asset. You have some measure of commentary on every verse. It may not give all the detail you would want on that verse (no one-volume commentary can), but you can at least grasp the general idea. There are fine maps as you see in other Holman resources as well interesting pictures. It really has a nice look. While I do not know the names of all the contributing scholars here, I see many that are known to be outstanding scholars. Each book gets a short background, themes (message and purpose), how it fits in the Bible as a whole (Contribution to the Bible), and Structure. These are well done. The only thing missing is an Introduction to the Bible as a whole or of each Testament, but no volume can have everything. I highly recommend this commentary! Here is another fine, helpful title in The Bible Speaks Today series. 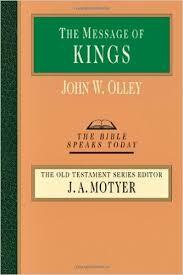 The books of I and II KIngs are inexplicably overlooked by many, which is mind boggling considering how strong in thrills and high in theology those books are. This economical volume is ideal for teachers and pastors to get some real help. The volume begins with a helpful Introduction of 38 pages. It gives sufficient historical background, but I felt its strengths were in identifying themes. When you read that section you will likely agree with his conclusions as he reasons well. Discussing “flawed heroes and failed reforms” was spot on. He addressed a few quirking scholarly rabbit trails, but fortunately never fell for them. The Commentary section, comprising the bulk of the book, was good. Since I have done a great deal of study on Elijah and Elisha, I dug carefully in his comments there. They were filled with substance of the kind to help an expositor. He even threw in a further reflections section midway through Elijah’s life. Quality seemed consistent throughout. 374 pages on the two books of Kings seems just right for this series. I recommend this volume for those studying these two wonderful books of the Bible. Are you looking for a Christian biography for the whole family? Here is one on a fine Christian lady that will appeal to everyone in your house. In addition to enjoying it myself, this volume will find use in our home school. Though the ladies might especially enjoy it, I will assure the men out there that this book and Amy Carmichael’s life will be a challenge to your own spiritual life. Though the book is written where teenagers could easily read it, there is nothing fluffy about it. Prolific biographer, Iain Murray, whose books have been enjoyable to me on several occasions, distills her life for the greatest spiritual effect. Plus you get a real glimpse of who she is as a person. He tells what a wonderful impact Tomas Walker, the missionary she worked with, had on her life. 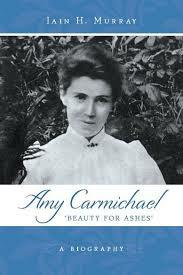 Amy Carmichael’s life, admittedly, makes a biographer’s task easy. She went just to be a help to a mission work and the Lord just opened a children’s ministry up to her. Not a typical ministry, however, as she was rescuing little girls from a life of forced temple prostitution and one of rescuing the lives of children who had no future in the harsh caste system in India. Mr. Murray, in the last part of the book, examined her life critically because the two popular biographies wrote of her without one critical comment. He uncovers that she was human, was more and more autocratic as the years went by, but still with taking all that into account she was a sincere, humble, and trusting servant of Jesus Christ. This is a fine volume on a fine lady and I highly recommend it. The Scariest Book I Ever Read And What It Taught Me! It was beyond belief. The story of Nazi Germany and its maniac leader, Adolf Hitler, is more than history; it is a parable of what can happen. It is the ultimate lens through which to view current events. It is the worst case scenario of the proverbial history repeating itself. 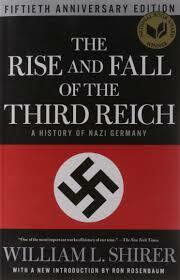 The Rise and Fall of the Third Reich will grip you in unexpected ways. Strangely enough, it was not the war itself, or even the bloody terror before and during it, that was most horrifying in this episode of history. No, it was that an Adolph Hitler could rise from where he did, have such complete control over a people, and go on to get away with all he did with the masses following like deranged sheep. Hitler was nothing. He had no track record of anything other than finding ways to bluff or manipulate his way to power. This proponent of the superior German race was actually an Austrian. This great warmonger had only been an undistinguished corporal in WWI. He failed at all he did and kept going forward as if he had greatly succeeded. (It kind of reminds you of other leaders who were only community organizers). He came out of no where and seized power by effective propaganda and shrewd political moves. During his whole career he habitually told lies and so effectively that you wondered if he grew to believe them himself. He was consistent in some things. He never wavered on who was subhuman–Jews first and foremost, then Poles and Russians. (Like some see the inferiority of Christians today). He always believed the state was supreme and people dispensable to uphold the state. Of course, it took a while to realize that he was the state! Any amount of blood was legitimate to shed in propelling the state and its aims forward. (For him I suppose it took a village to raise a child). Nothing he said was too ludicrous for the masses to swallow. There was a sizable number of Christians in pre-WWII Germany, but they made no outcry. Somehow he convinced them that what he said fit Christianity, at least until it was too late to do anything about it. He rewrote history (the circumstances of the end of WWI) until he convinced people who had actually lived through it! (American history is not matching what I remember when it is told today either). He incredibly manipulated other countries. His first two major conquests of territory were bloodless. He simply made baboons out of other European leaders. He never kept his word in any deal he made and yet spoke as if he had the greatest moral authority when it was time to discuss the next one. As I read I kept trying to tell myself that in America we have more background in freedom and would never get sucked in to this extent. We have many who could not be forced into silence. Yet this tale shows just how far things can go. It is a horrifying portrait of people closing their eyes along with the exceeding depravity of men. An actual masterpiece! No novel could ever hold your attention to a greater degree. William Shirer was the perfect man to write this book. As a reporter who reported from Germany until the war and again after in the Nuremberg trials, he saw many things firsthand including appearances by Hitler and his associates. 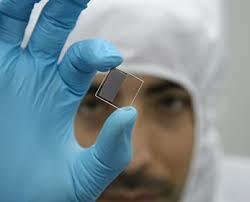 In addition to that familiarity, he did extensive and effective research. Finally, he brings the skills of a gifted writer. It is a page turner. The two criticisms that are most often leveled against this book take nothing from it. Some say he was taken in by Hitler’s charms before the war and denies it in the book, but I read several humble admissions that he believed Hitler when he should not have. He also writes of homosexuality as a perversion in a few references. That was his belief and the prevalent belief of those times, and for a few of us still today. I appreciate a volume without the baggage of political correctness. I believe this book will never be superseded. It is simply that good. In 40 oversized pages you get an outstanding Introduction from the First to Fifth Centuries of Christianity. Setting Palestine in its proper context from just before Jesus, and discussing the influence of Judaism on early Christianity, the volume exposes us to the greater Greek influence of the times. From rising Hellenism to the evolving influence of Roman Rule, this work delves into the major influences of those times. Even the heresies that had such an effect are discussed. Equally valuable are the profuse illustrations throughout coupled with fine Carta maps. This volume is excerpted from the large Carta’s Illustrated History of History and so provides a more economical way to study this critical time period. This volume would be effective for many uses: Bible classes, homeschool, personal study, or a refresher for pastors. I recommend this volume. This attractive, oversized-paged volume is a treat for the eyes. Mr. Wright brings much expertise to the table to make this volume valuable. 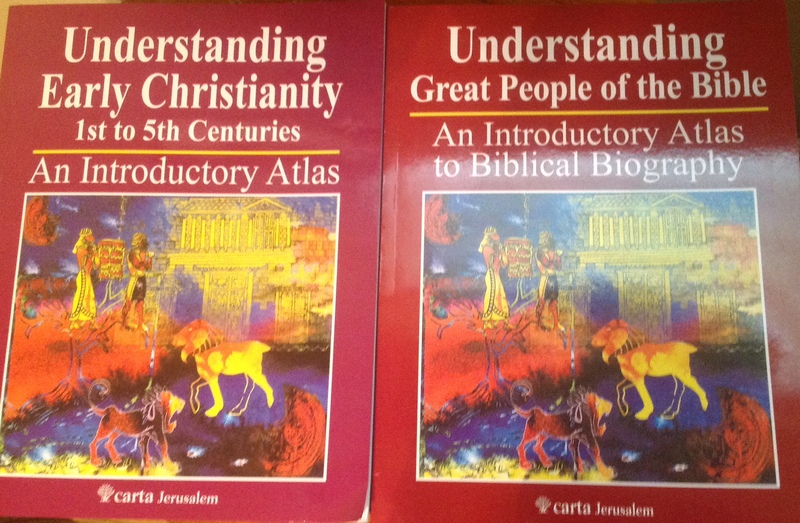 Its unique approach of giving atlas information on Bible characters is helpful in that many study the Bible in character studies. Perhaps not every character is here, but those that are can have their study enriched. Profusely illustrated in full color, this book is one you will enjoy. The greatest feature is that several of Carta’s very best maps are here. I personally find Carta’s maps the best we have today. Any one studying the Bible will be pleased to get this volume. I highly recommend it. This fine biography by Pulitzer-Prize winning author Jon Meacham draws a vivid picture of Jefferson. 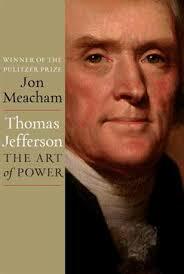 Mr. Meacham clearly admires Jefferson, but as the subtitle “The Art of Power” shows, he was not blind to his weaknesses. Jefferson was charming, yet he knew how to manipulate situations to stay in control. He was never satisfied unless in control and was exceptionally good at gaining it. His compensating trait was that he genuinely liked people and beyond control he really wished no harm. Many consider him the most intelligent President we have ever had, and that could likely be the case. He was brilliant, a voracious reader, a student, a thinker, and had a naturally inquiring mind. Despite wanting to be liked by people, he was ever true to himself. Give him a chance at personal contact and he could disarm most critics, except, of course, Alexander Hamilton. As you read you will discover a man you can’t help but like despite his bewildering moral inconsistencies. Jefferson was the most articulate spokesman of the liberties that were the battle cry of the Founders. His writing of the Declaration of Independence was epic, though he wrote little else besides personal letters the rest of his days. He was in Paris when the Constitution was drafted, yet his influence was there in the person of his protegee, James Madison. He served in Washington’s administration, but that was often difficult as he ever battled Hamilton. The parties of Federalist (Hamilton) and Republican (Jefferson) developed in spite of Washington’s disdain of them. Washington sided more often with the Federalists as that matched his thinking. He still respected Jefferson and always listened to what he had to say. I was saddened to see that though Jefferson respected Washington in many ways, he did not love him and was rather happy when he retired. Maybe that control thing blinded him. After Adams term and the straining of that friendship, Jefferson finally got the control he wished in his two terms as President. He actually kicked off the Virginia Dynasty where his protegees followed him for the longest run in American politics (24 years). His term in office was a success. The Louisiana Purchase was a masterstroke. Despite these successes, there was his lifelong approval of slavery. I fully understand that he was a product of his times and surroundings (Virginia), but for someone to so clearly see the value of liberty and freedom how did he justify it in his time? Perhaps he knew it wouldn’t last, but that it wouldn’t go away in his lifetime, so he just enjoyed things as they were. Washington was at least haunted by it while we find nothing to prove it upset Jefferson. Then there is Sally Hemmings. Meacham is convinced that Jefferson fathered children with this slave. It was complicated in that she was actually his deceased wife’s half sister. It seems his father-in-law was a bad boy too. They say she looked a lot like her sister, whom Jefferson adored. Her death was one of the dark spots of his life. There has been long debate about this with many saying Jefferson is innocent. 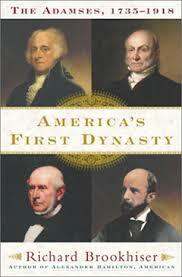 DNA tests prove that a Jefferson got into the Hemmings family, but there is no way to prove it was Thomas Jefferson. My own thoughts are that it is likely true. Human nature being what it is, and having the power a master has over a slave, it was bound to happen in many cases in a setting of slavery. If it is true, that Jefferson would allow his own children to be slaves in his lifetime would have to be the darkest stain on his life. The Meacham volume is good reading and truly brings Jefferson alive. It is a winner.